Living Master | Gambling Recovery Can Start Here. Sharing Hope, Awareness, and Support. It is not often I meet two very special people who have entered my life and learning so much from. Master Genro is one of the few living Zen Masters of today. Author, Clifford Stevens has had the privilege of being taught by Master Genro. And after reading their new book, “Find The Seeker! The Pathless Path to Fulfillment and Happiness” I have been using all the wisdom and unique advice and incorporating it into my recovery path. It has uplifted my spirit, enlightens my soul as I maintain my recovery in being more humbled and grateful. It is not easy to put what we mean into words and into a book, which is the mirror of our experience. This is because Absolute, unconditional Being cannot be defined, described, categorized or explained in words. It is the reason why Socrates could only say, “All I know is that I know nothing.” It is the reason why Zen Masters often resort to laughing, making sounds or jumping. It is the reason why the true philosopher remains quiet. Ultimately one has to stop thinking, brooding and reflecting. Speaking does not mirror one’s innermost nature, the underlying truth of all Existence. Rather, it is what is between the words – serenity, voice, charisma, aura – which can reveal how far a person is on the spiritual path. It may be easy for someone to sit on a meditation cushion and give the impression that he is inwardly serene. However, as one says in Zen, one can only look deeper into the ocean when the surface of the water is calm. In this way, one can find out and understand what the ego is about. Meditative techniques are there to calm the thought processes, to make sure the monkeys jumping around – our thoughts – finally get tired of what they are doing, and to bring inner peace to the person. We are talking about Absolute Peace, which you cannot attain by any war, by any struggling on your part. It comes when Nobody is there any longer who causes unrest and agitation due to thinking, fears, and all our manipulative, emotional and intellectual processes. Peace comes when there is Nobody who deals with himself and the world in a warlike manner. It may not always reflect our present-day priorities, but achieving inner peace, calmness, serenity, and equanimity is certainly one of our biggest longings. So much has been written about the techniques one can practice, and it is easy to do so. But a technique is only a part of the path. The fact is that the path is a pathless one and is not a path at all in the proverbial sense. Being on the path means to pick oneself up again and again and plough on, with practices, to continue moving on, if one has not had the grace to embody “enlightenment”, as some of the great Masters have had this blessing. Our book is designed to show how such a path could look, how you can make your way along the path with grace, discipline, and humility, and how one can have this experience of enlightenment at the right time and the right place – always and anywhere, because it is beyond space and time. We don’t usually speak about this. This is because all knowledge, analysis, and definitions don’t lead us anywhere! It is the experience and not the knowledge that is crucial. Take honey. You can conduct as many scientific studies as you want, but it is not the same as tasting it and its sweetness. In this case, you only stand at the beginning of the path and have not yet realized what it is about. Once you have read all the books and heard all the scientists talking, and still remain dissatisfied, and there are still unanswered questions, then it is time to read this book of ours – perhaps the last one you will need. It shows the pathless path between the words and the lines, serving quasi as a signpost. It is a path that cannot be comprehended in thoughts and words and shows you that which is lying at your feet, as an old Japanese saying goes. So, sit down, try to calm your mind, and learn to know your-Self. All the questions that arise are the result of the imprisoned and limited mind. Liberation takes place above and beyond everything that can be perceived. It takes place in your inherent, Absolute nature, which at that moment of realization is seen as that which always is enlightened and has always been. This does not involve effort, techniques, work or overcoming. But it requires grace, and your realization, which in itself is the Truth. And when this happens, do what you want. This is derived from an old parable from Chinese Chan teachings, who said, “First free your mind, and then do what you want.” Our intellect is immediately worried about chaos and anarchy if one does what he or she wants. This concern is from the unenlightened spirit, worrying about things which anyway cannot be influenced. Learn how to entrust yourself, to practice devotion and thus open yourself up and make yourself ready for the workings of the highest Grace. In the Heart Sutra, it is written: Form is emptiness and emptiness is form. The true interpretation is so simple and yet difficult to understand. Zen and our book deals with people who learn to be before there was thinking. 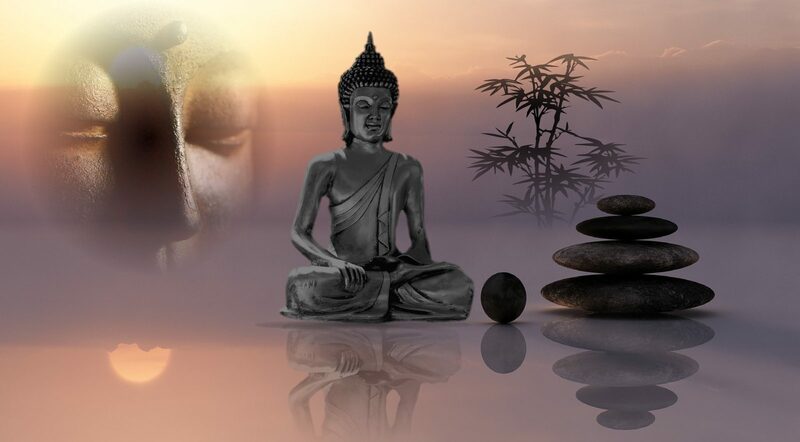 The Zen spirit is revealed when thinking stops and the thinker consciously abides “free of thought.” This is the Buddha Nature, which you cannot realize in thought. The experience of enlightenment awaits you. Find the “seeker” and unfold the true Self already in you. The essence of the path is simple, natural and clear. Genro Xuan Lou, Laoshi, one of the few living Zen Masters and co-author Clifford Stevens of the recent highly-acclaimed spiritual self-help book “Find the Seeker” now available on Amazon and Amazon Kindle … (Amazon link: http://bit.ly/find-seeker). You may learn more from popular Master Genro on our website: https://www.findtheseeker.com and follow us on Facebook.